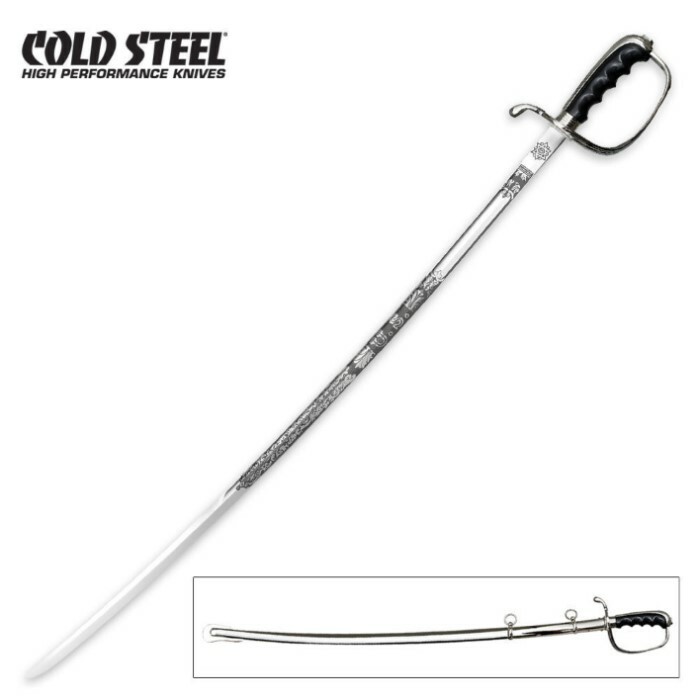 Cold Steel decided the U.S. Army Officer's swords should be functional, so they replicated them using sharpen forged 1055 carbon blades. They are faithful in every detail to government specifications; they offer highly 32 in. polished blades, appropriate etching and quality hilts and scabbards. The only real changes we have made are to drastically improve their performance as weapons by forging them from 1055 Carbon Steel and properly heat treating them to a tough spring temper before sharpening. Overall Length: 37 1/2 in. Steel: 1055 High Carbon Steel.